The snows are quickly melting and the temperatures are up – Spring has sprung and Summer is already well on it’s way here in Idaho! That means just one thing: it’s time to get out and enjoy the outdoors! We’re blessed with an abundance of great things to do here in Garden Valley, everything from hiking and rafting to swimming and fishing – even just enjoying a nice peaceful soak while you watch the world go by. 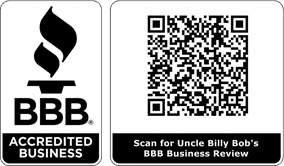 Uncle Billy Bob’s Redneck Vacation Rentals are THE place to take the whole family! The perfect home away from home we provide all the creature comforts you don’t want to live without right in the heart of some of the most beautiful country to be found in the great Gem State! All that plus being affordable and offering clean lodging with a little country style – that’s the best! Space is filling up fast, so be sure to get your reservations in soon so that your spot is saved for the Summer!